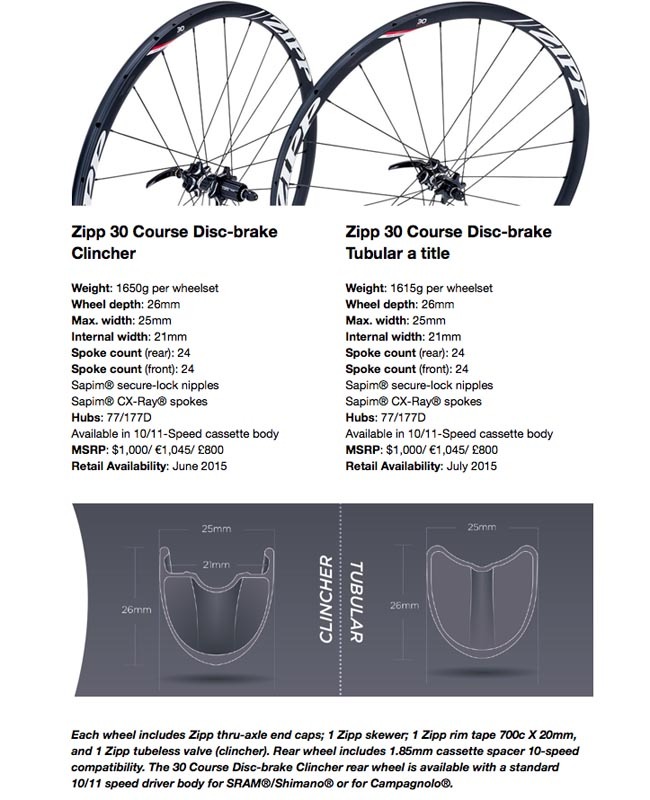 Zipp's 30 Course Disc-brake wheelset is a category-creating kind of aluminum wheelset. Available in tubular, clincher and tubeless-ready, the 30 Course Disc-brake is a multi-use Speed Weapon engineered for road, cyclocross, gravel and adventure riding and racing. Zipp - with more than a quarter century of technical breakthroughs including developing the first carbon wheel to win at Flanders and Roubaix - is proud to unveil the new benchmark for a durable, high-performance aluminum disc-brake wheelset. 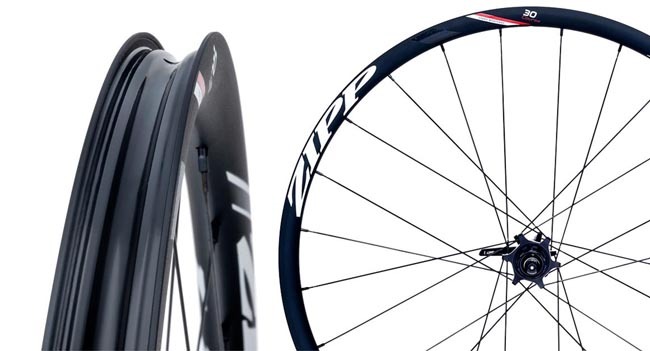 • Zipp's first wheelset to be tubeless-ready providing the ability to run lower tire pressures without risk of pinch flats. • The 30 Course Disc-brake wheelset, with its external 25mm and internal 21mm rim widths, incorporates design innovations from the Zipp 202 Firecrest Carbon Clincher profile for low aerodynamic drag, greater stability and predictability in crosswinds. That wider rim platform allows for increased air volume, which spreads the tire casing. That helps increase the contact patch with the ground. The result is improved cornering grip and increased comfort on the road, mud and everything in between. • Engineered for versatility, durability and simplicity. Same 77/177D hubset used in Zipp 202 and 303 Firecrest Disc-brake wheelsets. • Bearing preload precision set - that means no pre-load adjustment is needed. • Includes newly designed quick-release skewers with a wider more ergonomic handle to provide more leverage for opening and closing. When closed, lever contours neatly with the frame. • Proprietary flange geometry and spoke hole attachment pattern with Sapim CX Ray spokes to optimize torsional and lateral stiffness without sacrificing weight or robustness. All this means the 30 Course Disc-brake provides the versatility demanded by the emerging new era of road (and beyond) riding. This is a race-performance designed wheelset that delivers speed, stability, comfort and the superior power and modulation of disc braking over any terrain.